Foam Rocky Outcrops DONE and Multiplied! These turned out way better than I expected. 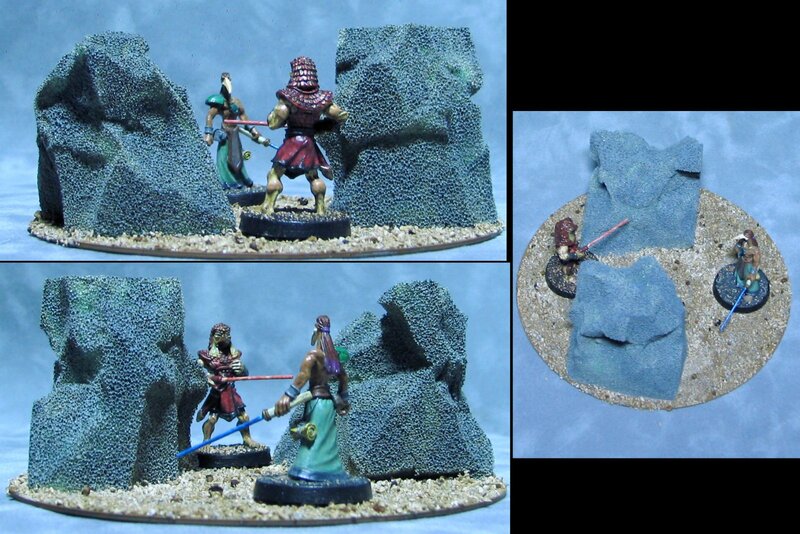 They're by no means the greatest generic rock terrain ever, but they'll do the job without bringing shame to me. There were only going to be three of these, but because it turned out to be so easy to throw together I did two more. 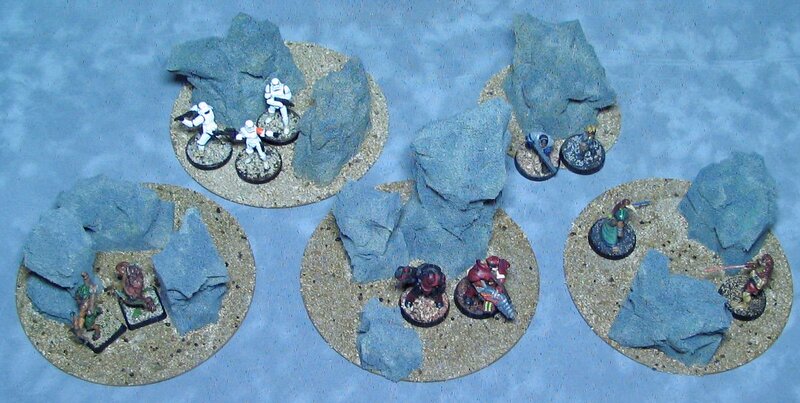 Now I've got five generic rocky outcroppings for all sorts of settings. Well another Lame Terrain Project that hopefully showed how easy it is to have some passable terrain to spice up your gaming. 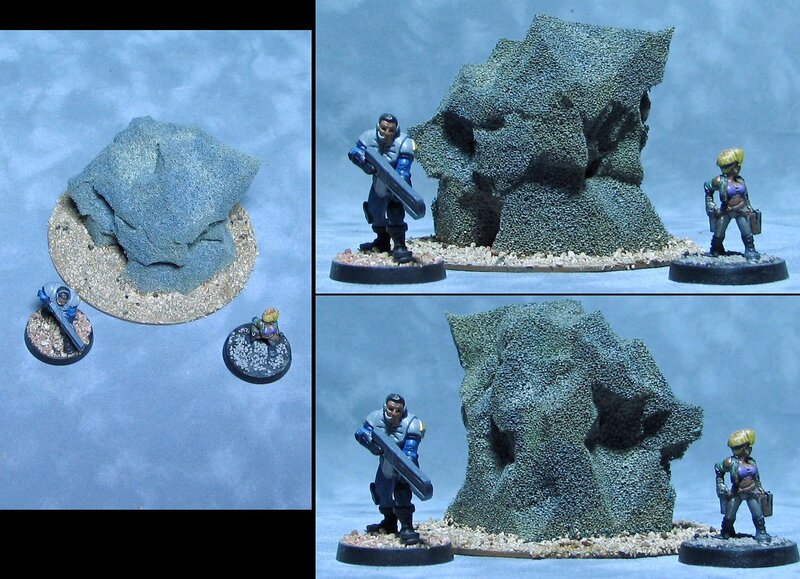 Ideas for other "Lame" terrain projects are welcome. Painting the foam spongy rocks was a lot less trouble than I expected. They did take several hours to fully dry, but the results seem pretty good. They look pretty much like rocks. And they fit well with 28mm figures. Next up is the basing and these will be done and ready to use in good conscience.